Reece Beekman had arguably the best overall performance at NY2LA Swish N Dish helping lead Phenom University to a 6-0 record and the 17U Platinum Bracket Championship. 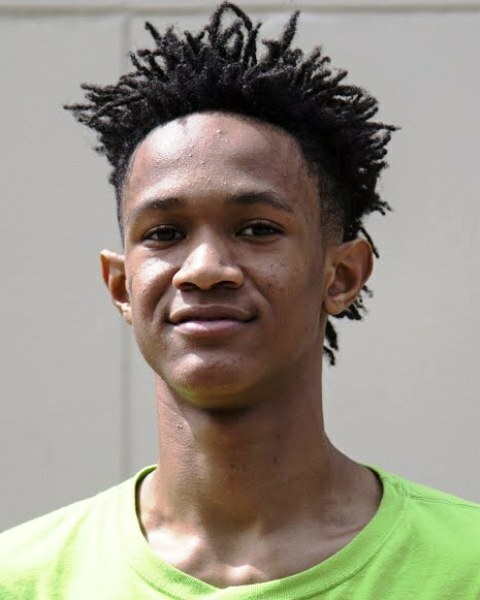 Beekman controls the game from the Point Guard position and plays with great pace, knowing when to push the ball in the open court and when to settle his team down and get them into their offensive sets. He showed improved athleticism, knocked down jumpers, has a great floater package finishing around the basket and was able set up teammates for easy baskets. An elite national recruit with a long list of offers, Beekman has already taken official visits to Houston and Virginia, and looks primed to see his stock continue to rise this Spring. Jaemyn Brakefield had an impressive debut with Phenom University team that was missing Jalen Johnson and Patrick Baldwin Jr. Brakefield scored 20 pts in their win vs the Illinois Wolves on Friday night and continued his standout play throughout the event. He was aggressive attacking the rim and getting to the FT line and played above the rim catching lobs and throwing down some highlight real dunks. Brakefield was able to hit threes when he set his feet and started the break off the dribble after gathering defensive rebounds. 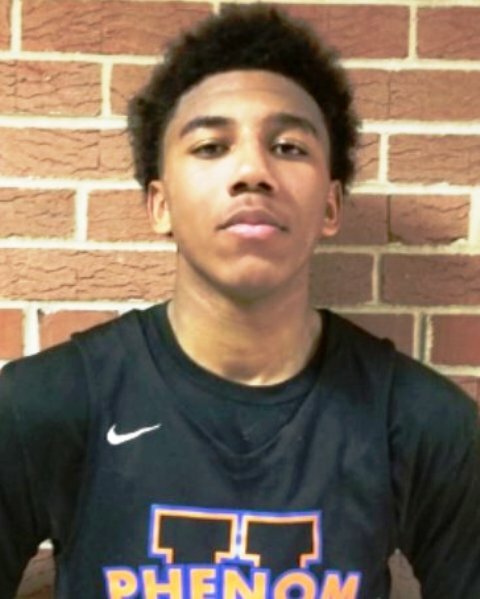 Michigan State Commit Jalen Terry started the weekend with a great showing on Friday, scoring 22 points in The Family’s win over Brad Beal Elite. He knocked down jumpers and showed elite athleticism attacking the rim and finishing with dunks and lay ups. Terry was the key for The Family all weekend, pushing the pace in transition, putting pressure on defenses and finding teammates for easy baskets. Nebraska commit Donovan Williams was one of the best players in a loaded 17U field for Brad Beal Elite. Williams is a tough physical guard and played down hill attacking the rim and getting to the free throw line. He also showed the ability to get hot from deep and hit threes off the catch and dribble when in rhythm. Although not a point guard, Williams has a solid handle and flashed potential as a secondary creator for a Brad Beal team without Moses Moody and Caleb Love. 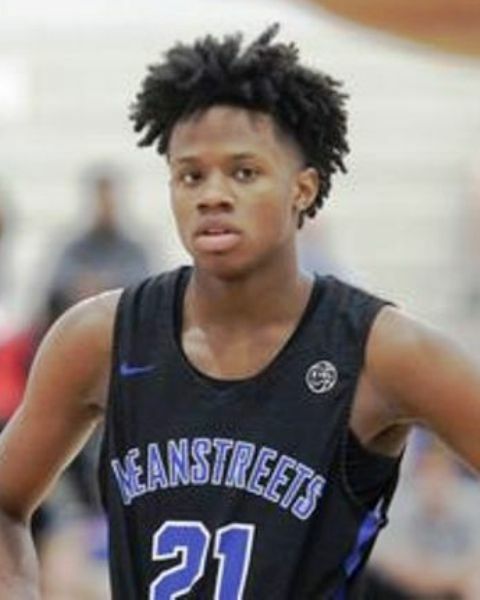 DJ Steward had an impressive weekend for Meanstreets helping lead them to the Final 4 in the 17U Platinum bracket. Steward is a scoring point guard and was able to consistently put the ball in the basket while also distributing to teammates. He used his length to finish at rim and knocked down jump shots off curls, spots ups and off the dribble. Steward competed all weekend on defense and was able to get steals leading to transition opportunities. Cam Fletcher showed why he is such a highly regarded prospect nationally at NY2LA Swish N Dish. Fletcher may have been the best transition finisher at the event – he used euro steps to get around defenders and showed off his elite athleticism throwing down powerful dunks and catching some impressive lobs above the rim. He is a solid defender and used his length to disrupt opponents and also showed potential as a jump shooter, hitting some rhythm threes over the weekend. Isaiah Rivera could easily be featured as one of the top stock risers at NY2LA Swish N Dish – but he also put together one of the best weekends overall at the 17U level. Playing with Meanstreets, Rivera excelled attacking the basket finishing through contact and put down some dunks in traffic that got the crowd off their feet. He also acted as a secondary ball handler and distributer alongside DJ Steward and is a solid jump shooter from outside. 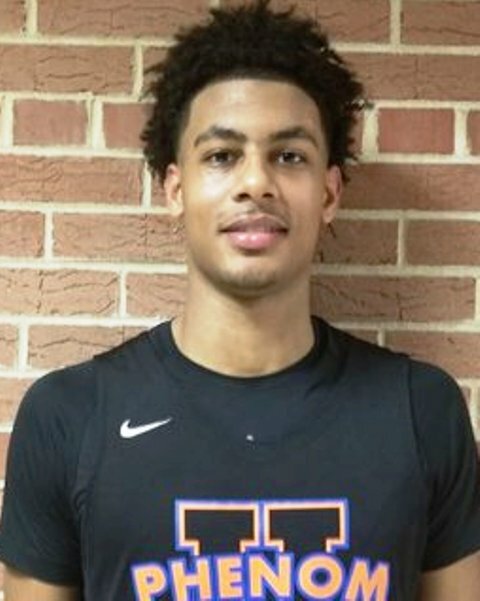 Rivera picked up a DePaul offer over the weekend and look for his recruitment to continue to blow up playing on the EYBL circuit this Spring. Anton Brookshire had a great weekend for his Yanders Law 16U squad at Swish N Dish. Brookshire is a really good shooter and has a deep bag of scoring moves to create space and get shots off. He was also able to get to the rim off the bounce and finish with floaters and euro steps. Brookshire is a strong ball handler and good leader at the Point Guard position and plays with a killer instinct that will certainty attract the attention of coaches moving forward. David Joplin is a fluid athlete in the open court and finished at the rim through contact and with some big time dunks, helping lead Meanstreets to the 16U Platinum Bracket championship. Joplin was showed impressive defensive versatility as he can bang with bigs in the paint or step out and move his feet to guard on the perimeter, using his length to bother ball handlers and alter shots. He had a smooth jumper and gets good arch on his shots from outside. Kobe Johnson is continuing to grow and fill out his frame and had a good weekend playing with both Phenom University 16U and 17U teams. He uses his long arms on defense to get deflections and steals and get into passing lanes, and was able to alter some shots around the rim on drives. Johnson displayed good vision making some big time passes and is at his best in big time moments, hitting 2 game winners on Sunday to help lead his team to a runner up finish in the 16U Platinum Bracket. Amar Augillard was a monster on the glass all weekend for AIA 16U Gauntlet, using his powerful frame to get into the paint and gather offensive rebounds and put backs. He is a very strong and physical prospect but also showed ability to play on the perimeter hitting some outside shots and attacking the basket off the dribble. As he continues to develop his skill set he is a player to watch closely in the 2021 class. Jacob Ognacevic did all the dirty work in the paint for Phenom University 17U during their run to the Platinum Championship. He is tenacious rebounder on both the defensive and offensive glass, finishing around the rim and often keeping possession alive for his team which led to second chance points. Ognacevic also showed promise as a shooter hitting some shots from three and has a nice soft touch. Martice Mitchell immediately jumps out due to his long frame and fluid athleticism. He showed good touch around the rim and has a solid handle for his size. Mitchell also was able to contest and block shots at the rim for Mac Irvin Fire 17U and doesn’t back down from any matchup. He is another player that as he continues to develop his skill set could see his stock blow up over the course of the Spring and Summer. An explosive lead guard with bounce, Hunter was electric at times with his dribble penetration and athletic finishing ability. His perimeter stroke was there in spots and his on the ball the defense at times was some of the best in the entire tournament. He’s really just starting his ascent and the talented guard paired with Kobe Johnson to form one of the most dominant backcourts in the tournament at the 16U level. A legit 7’0, Matt Nicholson has really good footwork and hands – major assets for a player his size. He did a good job of establishing post position and used efficient post moves to score. When his shots weren’t falling he did a good job of following his misses gathering offensive rebounds and put backs. Nicholson also was able to block and alter shots for The Family and wasn’t scared to challenge opponents at the rim. Caden Boser started the weekend strong – scoring 21 points in WI Swing 17U NY2LA opening night win over Nova Village to lead all scorers. Boser is a combo forward able to stretch the floor with a smooth, quick release from deep and also showed the ability to put the ball on the floor when defenders ran him off the three-point line and finish at the basket. Boser is a solid rebounder for his position and more than held his own against elite competition throughout Swish N Dish. Ben Nau was really good throughout the event playing up a year in completion with the Phenom University 17U team that took home the Platinum Championship. Nau is a good shooter from deep off the catch and when stepping in to his shots with rhythm dribble – getting good elevation and rotation – and kept Phenom U in the game early on in their Elite 8 matchup with EG10 hitting 3 first half threes. He is a tough player and easily led the event in charges taken putting his body on the line and doing whatever it took to help his team win. Jordan Rice is a shifty point guard and led his Quad City NY2LA team to the Elite 8 of the 16U Platinum bracket before losing on a buzzer beater in double overtime to Phenom University. He as a very good handle and was able to get into the paint and convert at the basket. Rice is also a good shooter and knocked down jumpers off the dribble and in spot up situation. He used his quick feet on defense to bother offensive players and did a good job of finding open teammates when defenses collapsed into the paint on his drives to the rim.